Collignon, Stefan (Ed). 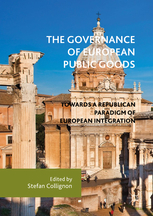 The Governance of European Public Goods - Towards a Republican Paradigm of European Integration. Palgrave Macmillan, Switzerland. 2017. 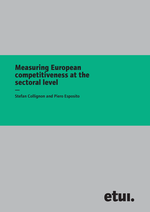 Collignon, Stefan and Piero Esposito, Measuring European Competitiveness on the Sectoral Level. ETUI report new 25, Brussels, February 2016. 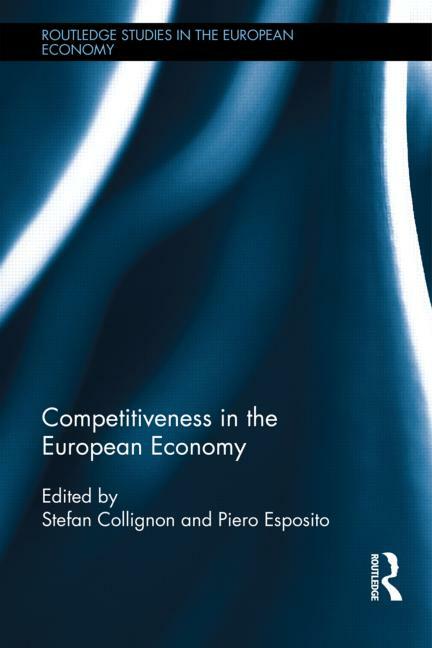 Competitiveness in the European Economy, Edited by Stefan Collignon and Piero Esposito, Routledge, Series: Routledge Studies in the European Economy, 216 pages, january 2014. Sponsored by Bertelsmann Foundation, Brussels, with European Trade Union Institute (ETUI) and Friedrich Ebert Foundation; Brussels, 2012. Stefan Collignon, Richard N. Cooper, Masahiro Kawai, Yongjun Zhang, "Rebalancing the Global Economy - Four Perspectives on the Future of the International Monetary System", Europe in Dialogue 2010 | 01, BertelsmannStiftung,Gütersloh, 2010. Press Release from Bertelsmann, here. A shorter version of the book is available in PDF, here. Stefan Collignon et Christian Paul, "Pour la République européenne", ed. Odile Jacob, 2008, Paris. Stefan Collignon, "Viva la Repubblica Europea !" Prefazione Giuliano Amato; editore Marsilio venezia, 2007. It was commented by Giorgio Rufullo in "Repubblica", 20 November 2007. Stefan Collignon, "Bundesrepublik Europa ? Die demokratische Herausforderung und Europas Krise". Preface Kust Beck ; VorwärtsVerlag Berlin, 2007. It was presented in Munich by Otto Schily. This book is now available in Chinese translation. Download PFD here. Stefan Collignon, "Vive le République Européenne !" 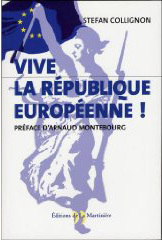 Préface Arnaud Montebourg ; Éditions de la Martinière, Paris, France, 2004. Stefan Collignon, "The European Republic; Reflections on the Political Economy of a European Constitution". The Federal Trust, London, England, 2002. Stefan Collignon and Daniela Schwarzer, Private Sector Involvement in the Euro. The Power of Ideas, Routledge, London, England, 2002. S. Collignon, Monetary Stability in Europe, Routledge, London, England, 2002. S. Collignon, J. Pisany-Ferry and Y. Chul Park (ed. ), Exchange Rate Policies in Emerging Asian Countries, Routledge , London, England, 1999. S. Collignon, Handbuch zur Europäischen Währungsunion; Friedrich Ebert Stiftung, Bonn, 1998 (3. Auflage / 3 editins)). European Monetary Policy, S. Collignon (ed. ), Cassel Academic, London, England, 1997. S. Collignon, Geldwertstabilität für Europa, Verlag Bertelsmann Stiftung, Gütersloh, Germany, December 1996. S. Collignon, Europe's Monetary Future (Volume I), published by Pinter Publishers, London, 1994. S. Collignon and C. Johnson, The Monetary Economics of Europe (Volume II),published by Pinter Publishers, London, 1994. German edition: Das EWS im Übergang - Erfahrungen mit dem EWS und politische Optionen, Gabler Verlag, Wiesbaden, 1993. 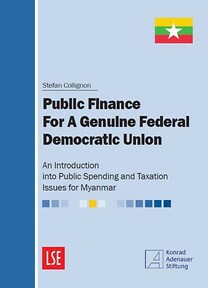 S. Collignon, P. Bofinger and E.M. Lipp (Eds. ): Währungsunion oder Währungschaos?, Gabler Verlag Wiesbaden 1993. Regionale Integration und Entwicklung in Ostafrika. Institut für Afrikaforschung, Hamburg, Germany, 1990.